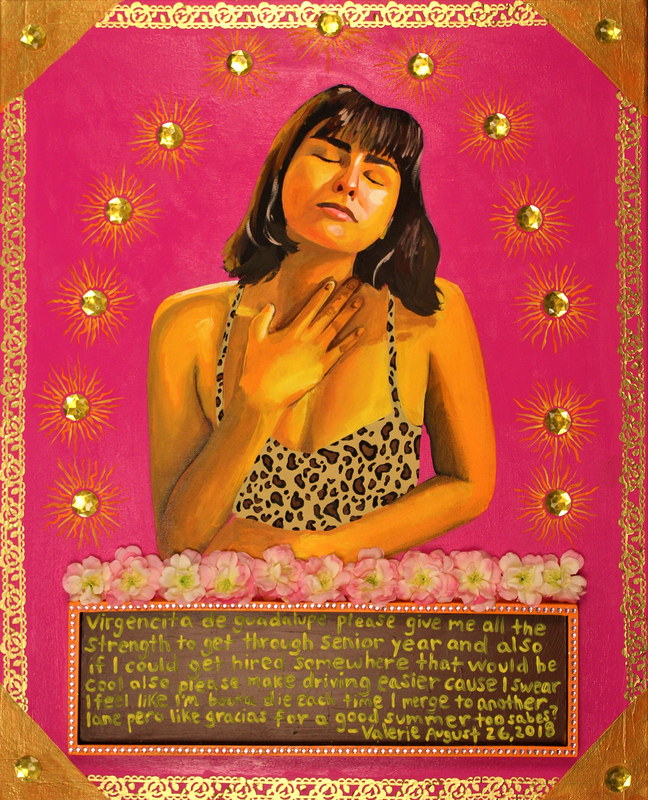 Valerie Gonzalez has been selected as the recipient of the nineteenth annual Marian and Speros Martel Award of Contemporary Arts Museum Houston (CAMH). 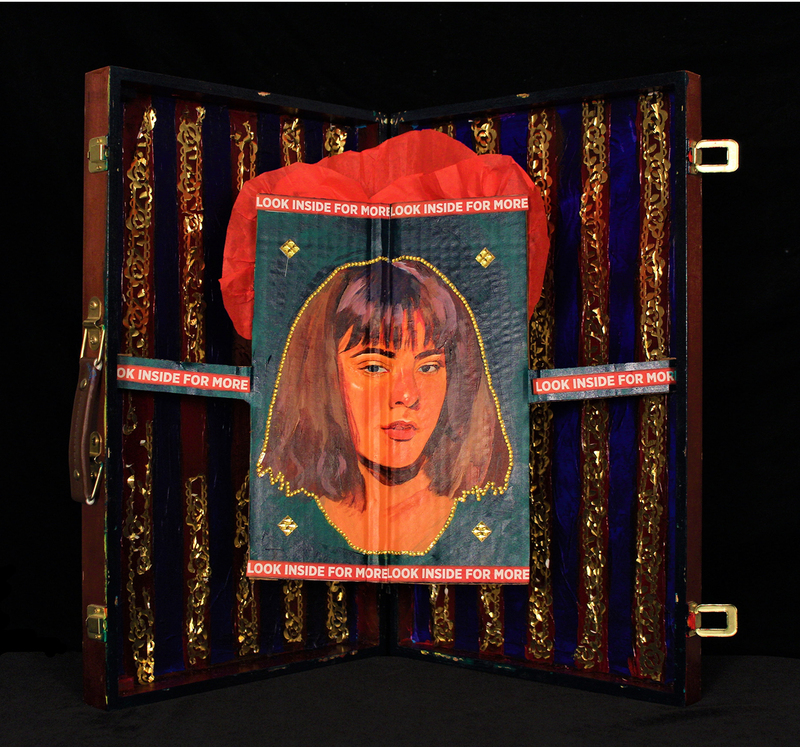 The Martel Award is given annually to a graduating senior chosen by CAMH in consultation with the visual arts faculty at the senior’s high school. 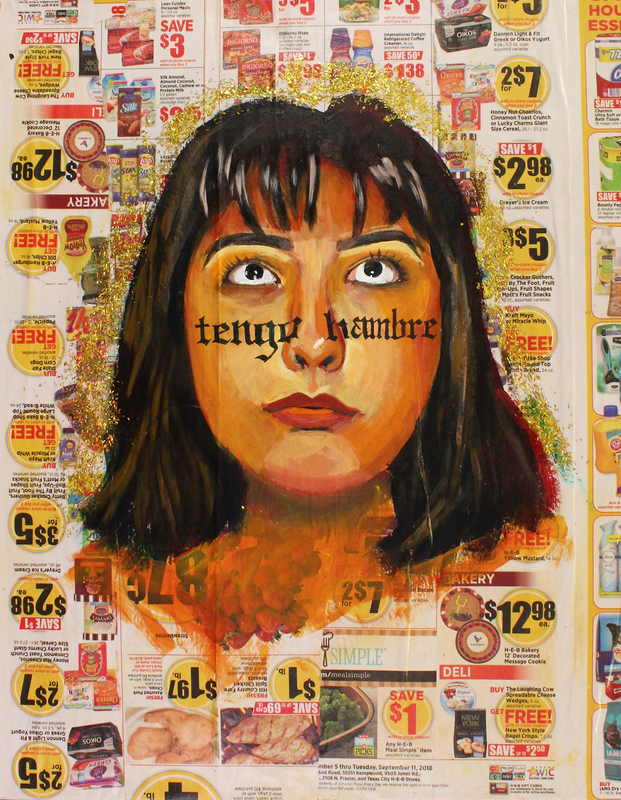 The selection criteria include: production of a significant and meritorious body of work during the senior year, plans to attend an accredited college, university, or art school, and exceptional promise in the visual arts and attendant professions. 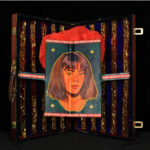 Valerie Gonzalez creates shrines as a way to glorify herself as a brown-skinned Chicana woman of indigenous background. 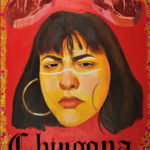 Gonzalez says, “I want the world to respect my kind of woman, the wild brown woman, to glorify her and cherish her as she deserves. She is not apologetic, she is a warrior, she is forgiving, woman of the earth, protector of love. I use myself to represent this idea because growing up I was always ashamed of my dark skin and wild nature and now I see the immense value of who I am and the power I have. In my culture, the women are brought up to be submissive to authorities and to males even though our ancestral women were not so and were even in some instances worshipped as Gods. 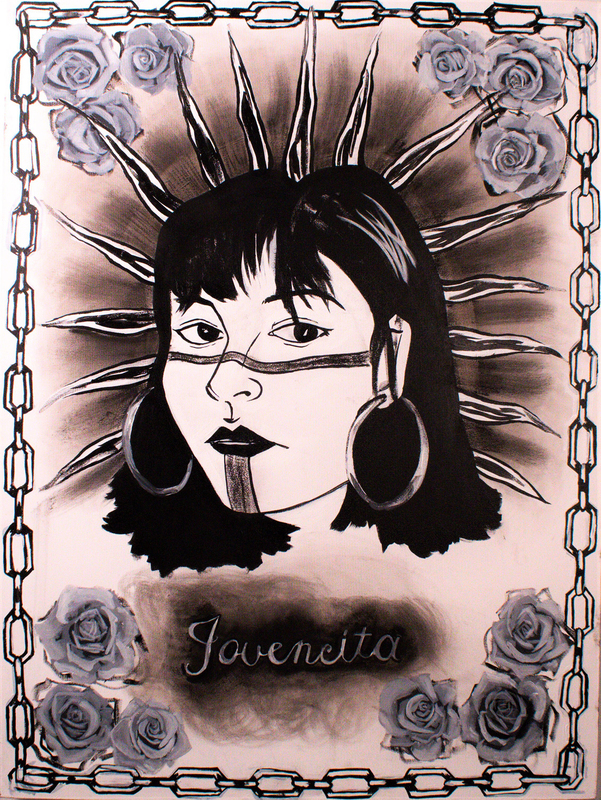 I address these archetypes that society has put upon brown Chicana women while also reflecting on how I see myself. Similarly, in my craft and aesthetic, I challenge the preconceived ideas of “fine art”. 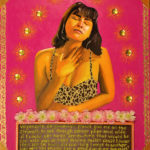 I use materials to simulate Mexican folk art and ofrendas which are shrines dedicated to loved ones that have passed. Valerie Gonzalez is a current senior at the High School for the Performing and Visual Arts (HSPVA). Previously, she attended school in the Greater East End area of Houston, Texas, where she spent the majority of childhood at her grandmother’s house. 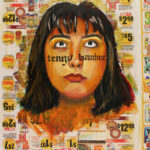 Her interest in art was present throughout elementary and middle school, where she was involved in school art clubs, art car parades, and the Houston Livestock Show and Rodeo art contest. 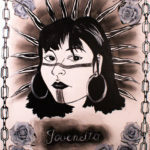 Since high school, she has shown her work in various school galleries and independent exhibitions. 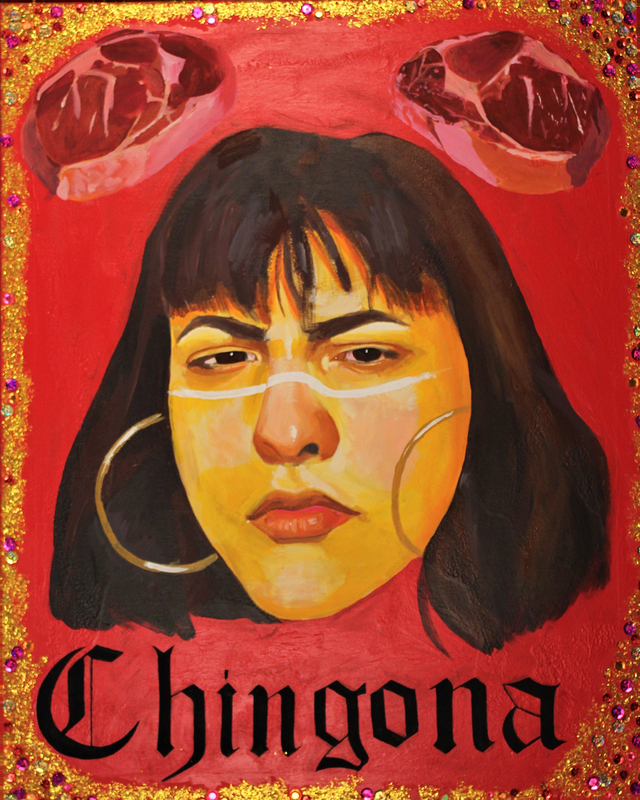 Gonzalez was awarded a full scholarship to the Minneapolis College of Art and Design (MCAD) Pre-college Summer Session and was awarded the MCAD Summer Session Award for Painting. Gonzalez plans to attend the University of Houston in the Fall to study Painting.